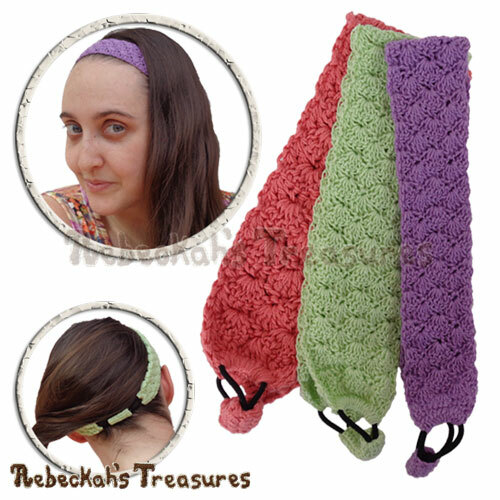 If you love headbands and the pebble stitch, look no further… This is the best, most spectacular bobble headband you’ll ever need - use ANY yarn / hook and crochet to ANY width / size! Make these in a rainbow of colours and sizes for perfect last-minute holiday gifts for all the girls in your life! Bundle Savings - BUY 2 Get 1 FREE! 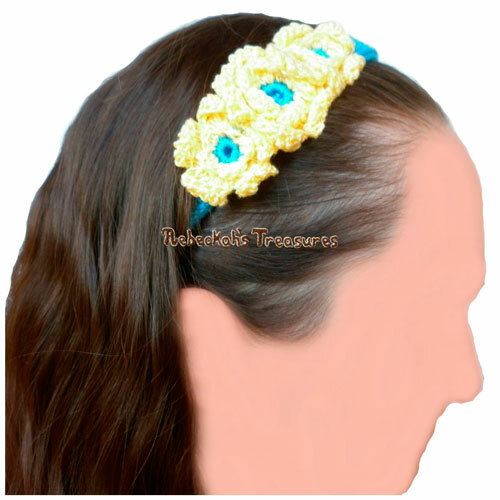 TWO MORE headbands like this one, using other stitches, are either available now or coming out next week... Purchase this pattern + another and get the third headband pattern completely FREEof charge! Purchase this Pebble Bobbles Headband pattern and the Adjustable Shells Headband pattern now. Then, come back on Mon. Dec. 19th, add the Criss Cross Diamonds Headband to your cart and it will be completely free for you - NO CODE REQUIRED - Just make sure you are signed into your Ravelry Account at time of purchases. This accessory pattern includes written directions for crocheting pretty pebble/bobble stitch headbands – of any width, in any yarn weight, for any head size from newborn to adult. Bonus photo tutorial and video tutorial is also included! This PDF formatted crochet pattern has 6 pages (771KB), including a cover page. It uses US Terms. These pebble bobbles headbands are designed in a way that they can be made to fit all sizes from a little doll and newborn to a fully grown adult!